BALIF - Join PLF with Katya Smirnoff-Skyy at Feinstein's at the Nikko for Broadway Bingo! Join PLF with Katya Smirnoff-Skyy at Feinstein's at the Nikko for Broadway Bingo! Join Pride Law Fund for a very special evening with the impeccable Katya Smirnoff-Skyy at Feinstein's at the Nikko for Broadway Bingo! Cocktails and show tunes, what more does one need? This Wednesday, October 30, 2013 from 6:30pm-10:00pm. 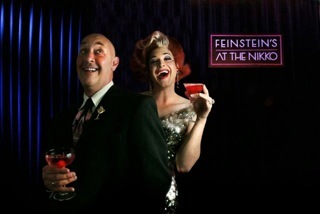 Feinstein's is at Hotel Nikko, located at 222 Mason Street, San Francisco, CA. Admission is FREE and the show is from 7pm-9pm. Costumes encouraged. See you there! For more information please contact Pride Law Fund co-chair John Robert Unruh at john.unruh@pridelawfund.org.